> Academics > Programs > Creative Writing M.F.A. Arcadia University’s low-residency M.F.A. program in Creative Writing, the only one of its kind in the Philadelphia area, is distinctive in that it incorporates both a dynamic online environment and a study abroad experience. The course emphasizes online workshops; personal attention from faculty; studying abroad, with a residency in Edinburgh, Scotland; and the preparation of both a book-length manuscript and a plan to publish it. Arcadia’s experienced and award-winning faculty help to prepare each student for a career in writing and in teaching the craft at the secondary or collegiate level. We offer programs in fiction and poetry, and each runs for two academic years. Because this is a low-residency program and students take between six and nine credits each term, each participant is able to develop much of his or her own schedule and maintain a full-time professional life outside school. Students who can attend courses full-time (nine or more credits) and are interested in preparing for teaching college-level literature and composition in addition to writing may consider Arcadia's Dual Degree Program in Creative Writing and English. Online Workshops—In Arcadia’s program, students participate in weekly workshops conducted online and led by the faculty, as opposed to many low-residency creative writing programs in which students have infrequent contact with their peers and instructors. Arcadia requires only that students have a consistent Internet connection. There are no extra programs to buy or download. Personal Attention—In addition to the online workshops, Arcadia’s program provides for consistent one-on-one contact between the students and the faculty. Through the use of e-mail, instant messaging, and voice chat programs such as Skype, students are never out of touch with their faculty advisers, and consistently meet with them to discuss writing. Partial Funding Available—Funding packages ranging up to $3,000 per year are available. One TA position per cohort will be offered. Study Abroad—A global perspective is an important facet of writing. Therefore, each student spends a weeklong residency abroad in the summer between years one and two of the program. This residency is held in Edinburgh, Scotland. Manuscript and Publishing—At the end of the program, each student submits a book-length manuscript in his or her genre and works with a faculty adviser to develop a plan for publication. Arcadia's low residency M.F.A. Program in Creative Writing utilizes online technology to allow each student an experience that fits into his or her lifestyle. While many low-residency programs are still correspondence courses through the mail, we bring as much of the workshop environment online as possible. Additionally, the programs we use are tablet and smart-phone friendly, so the course goes anywhere you want it to. During the two-year duration of the M.F.A. 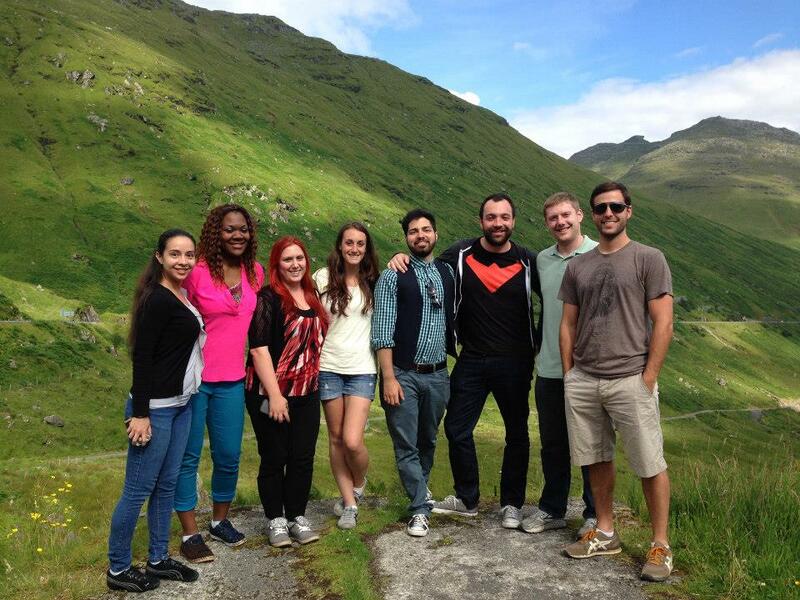 Program, the students meet in person three times: the first at the beginning of the program in August, at our campus; the second during the following summer for the residency abroad, in Scotland; and the final time in January of the second year, again on Arcadia's campus. Each residency is about a week long, and includes workshops, writing exercises, discussions with a visiting writer, and a building of community within the group. Workshops are conducted during each fall and spring semester, and consist of online discussion boards. These discussions are asynchronous, meaning that while there are weekly deadlines there is no one time that students need to be online, and each student can fit the workshops into his or her specific schedule. Additionally, the software we use for the discussions themselves and for file sharing are accessible via apps on tablet computers and smartphones, meaning the classroom truly is portable. Students each get to submit work for peer review three or four times per semester, and review their peers' work every week. Students take a practicum each fall and spring semester while they're also taking a workshop, meaning that they take six credits each semester. A practicum is a series of one-on-one meetings with an instructor through the semester, and students have at least four meetings, but usually no more than six or seven. Students schedule these meetings at their convenience, often in the evenings, to accommodate their work and family schedules. Additionally, these meetings can be held via Skype or Face Time, allowing for those outside the Philadelphia area to complete the M.F.A. without any problems. Each meeting focuses on a piece of writing which the student submits to the instructor a few days before the appointment. This can be a revision of a piece the student has submitted to workshop, or a new piece of writing. Each practicum appointment is about an hour long and consists of an in-depth discussion about the work in question and the specific methods or techniques the student might adopt to improve his or her writing. Each M.F.A. student turns in a thesis at the end of their second year in the program. For fiction students this is a manuscript of roughly 60,000 words, and can be either a novel or a collection of short fiction. For poets this is a manuscript of about 48 pages of verse. The guidelines can be discussed with the faculty and changed based on the goals of each student. Most importantly, in producing the thesis each student develops the habits necessary to lead the life of a writer, including a plan for publication after the program ends. Arcadia's M.F.A. program is one of the few low residency programs with a large online content. We conduct workshops through online forums, and students can connect with their instructors for one-on-one appointments via programs like Face Time and Skype. This means that a student can complete most of the work from anywhere with a Wi-Fi connection—the three residencies are the only times when students must meet in person. The program is also completely mobile accessible. Discussion boards, document sharing, and appointments can be completed on any iOS or Android device. While no mobile device is required for the program, we do recommend that incoming students consider investing in a tablet or smartphone in order to have access to their courses' content as much as possible. All students must have consistent internet access once they are enrolled in the program, regardless of the type of computer they use. We are currently accepting applications for students to begin in August 2019. Decisions will be made on a rolling basis and as space allows. In order to encourage community and continuity among the cohorts, each student must start in August with the first residency. A bachelor’s degree from an accredited institution with a recommended GPA of 3.0 or better. Applicants who studied in all fields as undergraduates are welcome so long as they can show, in their writing sample, strong skills as a creative writer. Two letters of recommendation. The letters must be of a professional not personal nature. If the student has been out of school five years or less, at least one letter must come from a professor. An interview with the program Coordinator, either in-person or over the phone, if deemed necessary. A writing sample. For poetry students, this should be 10 to 15 pages of verse. For fiction students, it should be 15 to 20 pages of prose. Please do not exceed the page limit. International applicants should visit www.arcadia.edu/international for detailed information on admission requirements and application procedures. Official results from the TOEFL or IELTS are required for all students for whom English is a second language or who have not earned degrees or diplomas from post-secondary institutions in English-speaking countries (e.g. the United States, Canada, England, Ireland, Australia and New Zealand). A course-by-course evaluation of all transcripts by an independent evaluation service based in the United States also is required. All application materials must be sent to the Office of Enrollment Management. You are only eligible to be on campus during the required residencies. You will be given an I-20 for the two on-campus required residences, not the full 2 years. You will be responsible for obtaining a UK standard visitor Visa (if necessary) for the Scotland residency. Parking—$50 per semester ($90/year) (Fall and Spring) before 4 p.m. No charge after 4 p.m.
Funding packages of between $1,000 and $3,000 are available. Every student accepted to the program will be considered for these funding packages. Also, one TA position will be offered per cohort—only students who apply before the March 1 priority deadline will be eligible for this TAship. This is separate from the financial aid opportunities outlined below. Graduate students who have been accepted into a degree program and are enrolled for at least 6 credits per semester are eligible to apply for financial aid. Please visit www.arcadia.edu/finaid for information regarding available aid options and visit www.arcadia.edu/gradfinaidapply to complete required forms online. Graduate assistantships are available to all students registered for at least 9 credits per semester. Students may apply for assistantships upon acceptance and registration. Questions regarding graduate assistantships should be directed to the Office of Graduate and Undergraduate Studies at 215-572-2925. Graduate students are eligible to borrow through the Federal Direct Stafford Loan and Federal Direct Graduate PLUS Loan programs provided they are taking at least 6 credits per semester. (In the summer, 6 credits over all summer sessions combined satisfies this requirement.) For more information, visit www.arcadia.finaid. Spring Semester 2021: Workshop 4; Practicum 4: Thesis Preparation. Thesis turned in at the close of the Spring Semester, 2019. Students must complete all of the above requirements before being awarded a degree. It is important that students make all possible efforts to complete the classes in order, so as to maintain a community within the program. If a student must take a leave of absence, it is best that he or she takes a full year of absence so that it is easiest to rejoin the program at a natural point. Extenuating circumstances will be evaluated at the faculty’s discretion. Visiting Writers—Each year the Creative Writing program hosts two writers in residence to teach and mentor M.F.A. students. The location of the residence alternates between Edinburgh, Scotland, and Arcadia's King of Prussia, Pa. campus. The Writers Series, sponsored by the English Department, brings writers of distinction to campus for readings and workshops with students. 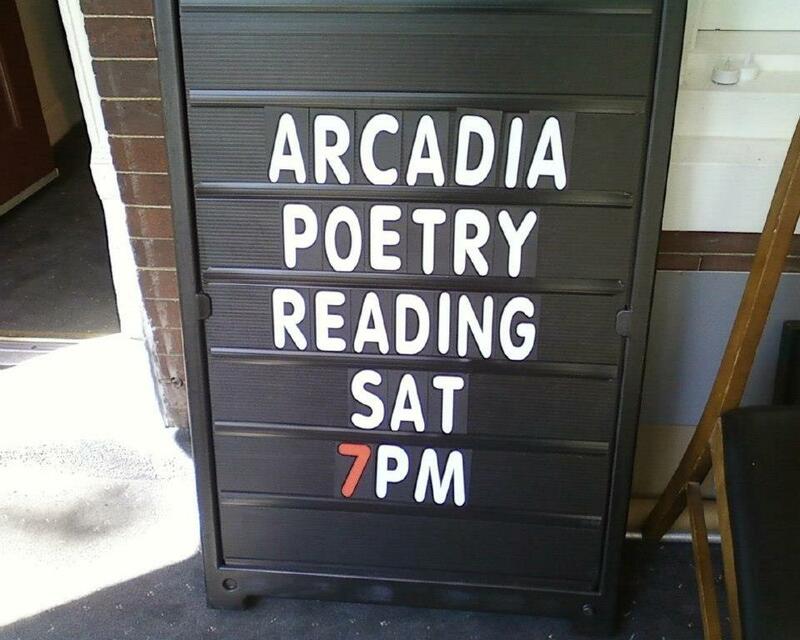 Marathon Literary Review was established by the first class of Arcadia University’s M.F.A. in Creative Writing. Its rotating editors and staff has created a publication that showcases the current voices and emerging creative talent of writers, poets, photographers, and other artists. Student Spotlight—Curious about what our students and alumni are up to? Learn about them and sample their work. Publishing: M.F.A graduates also may pursue a career in publishing, working for a small or large press. Teaching at the university level: The M.F.A. is considered a terminal degree in academia, so those who hold it are qualified to teach both creative writing and composition at the university level. Teaching secondary education: M.F.A. graduates also can pursue a career in secondary education in public school as long as they obtain any needed state certifications. Teaching in private schools also is an option. Writing: In addition to seeking publication for their own creative work, M.F.A. graduates can write for magazines, newspapers, companies, and organizations. This includes business, marketing, professional, technical, pharmaceutical and medical writing. Full-time, part-time and freelance opportunities are available.